I'm a lover of NYX cosmetics, I think the products are of good quality and the price is reasonably cheap. Unlike many popular make up brands NYX is also easily available in most Boots stores in the UK! 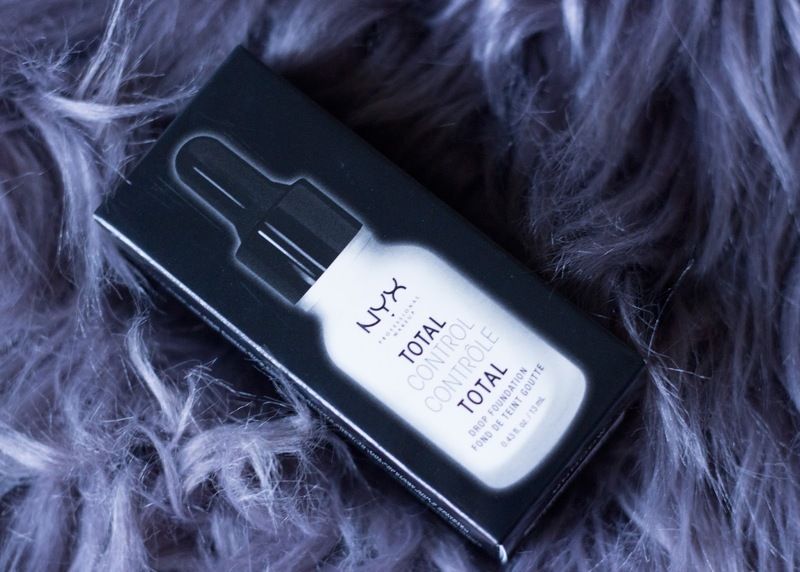 Something I've seen a lot of mixed reviews of is the Total Control Drop foundation. 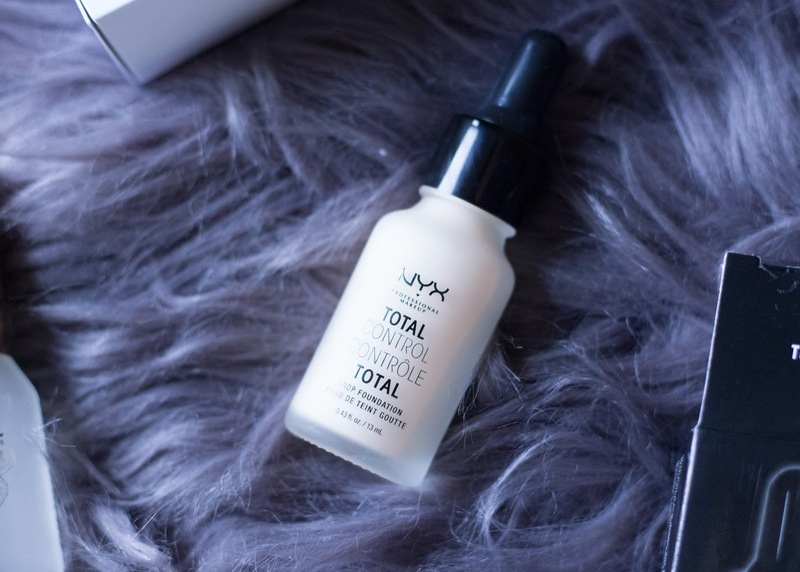 NYX boasts that this foundations coverage is adjustable, depending on the amount of drops you use. This alone was enough to make me want to try it, because I must not be the only one who uses waaaay too much foundation and ends up wasting a lot, right? 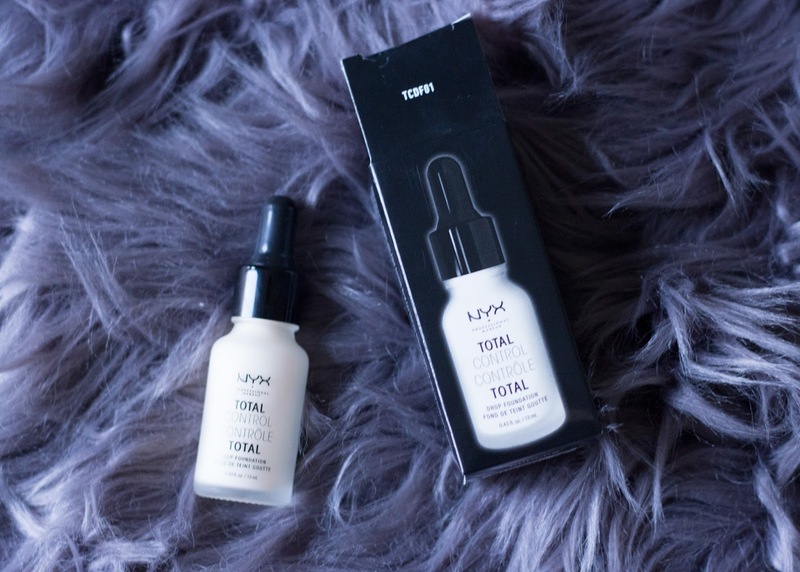 There is 24 shades of the Total Control Drop foundation and the shade I opted for was called 'Pale'. Quite rightly named after me! Choosing my desired shade was pretty easy for me, but online there is a "Shade Finder" designed to help you pick out the right shade. 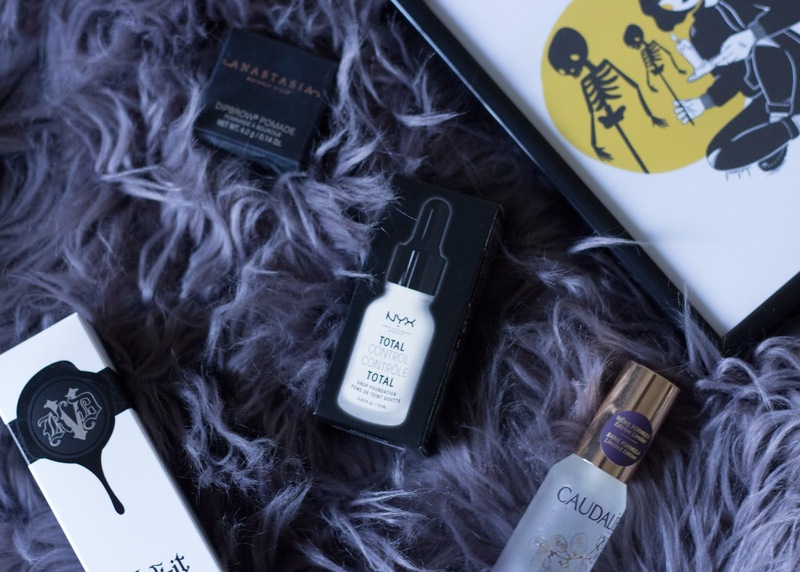 My go-to foundation is Kat Von D's 'Lock It' foundation in the shade Light 42, this shade was very similar to the Kat Von D foundation I normally use. 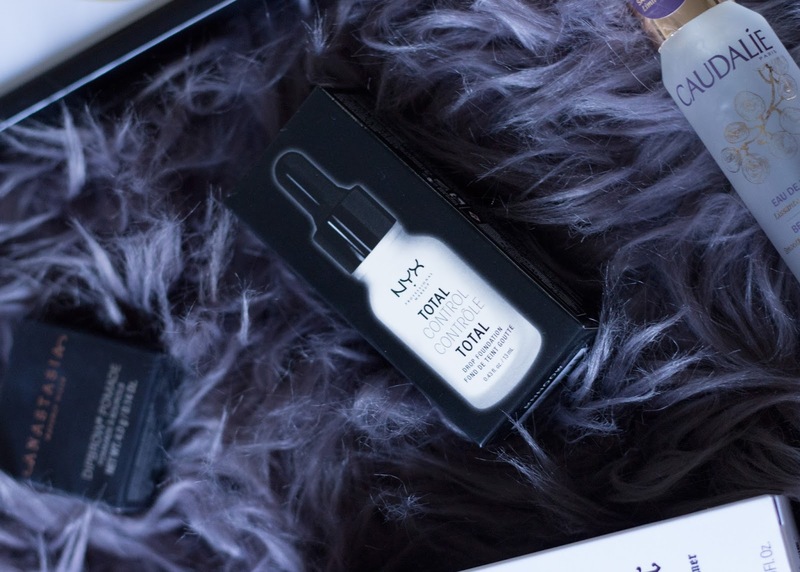 When my foundation arrived the first thing I noticed was that the bottle is quite small, NYX has not gone over the top with packaging or design, which to me meant the product must speak for itself. I immediately tested it out! 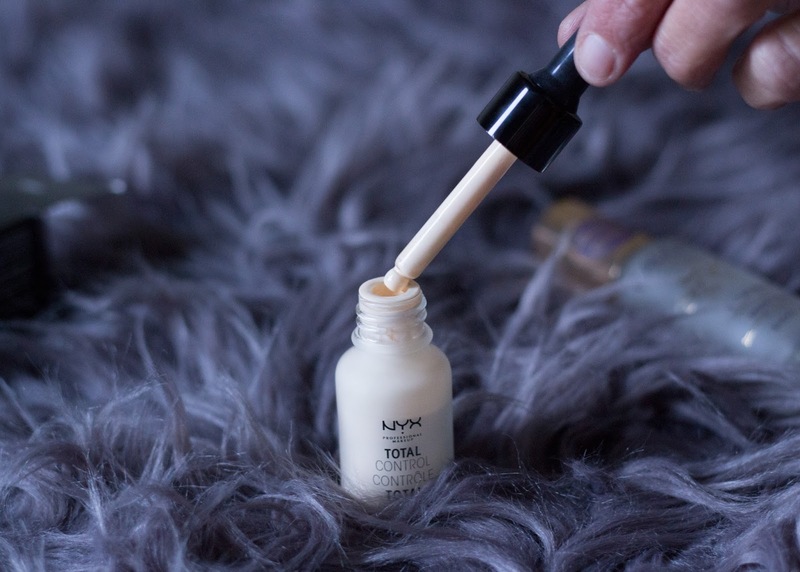 The 'dropper' applicator allows you to add as many or as little drops as you like, allowing you to create the coverage you want. When I first used the dropper the product came out quite fast so be aware, I simply added drops onto my beauty blender then applied it straight to my face. The foundations consistency is quite watery but applies matte! As part of my usual make up routine, once I've applied my foundation I usually lightly apply a pressed powder over it which sort of sets it in place. When I went to do this, I noticed that the foundation seemed to cling to my dry patches. This wasn't really bad as my dry patches are small and easily unnoticeable, but I thought this might be a bigger issue for others with dry skin. I decided to go all out and on the first wear I wore the foundation to work, which for most of us probably could be the deciding factor to whether you like it or not. Throughout the first few hours (I did a 7 hour shift) it seemed to stay put for the most part, but towards the end of my shift the foundation had completely come off of my nose. I topped up my pressed powder and carried on with my day. The rest of the foundation on my face stayed put which again, is fine by me, my work is really hot so it didn't surprise me when it came off of my nose. Overall, I would say that this is an average foundation! 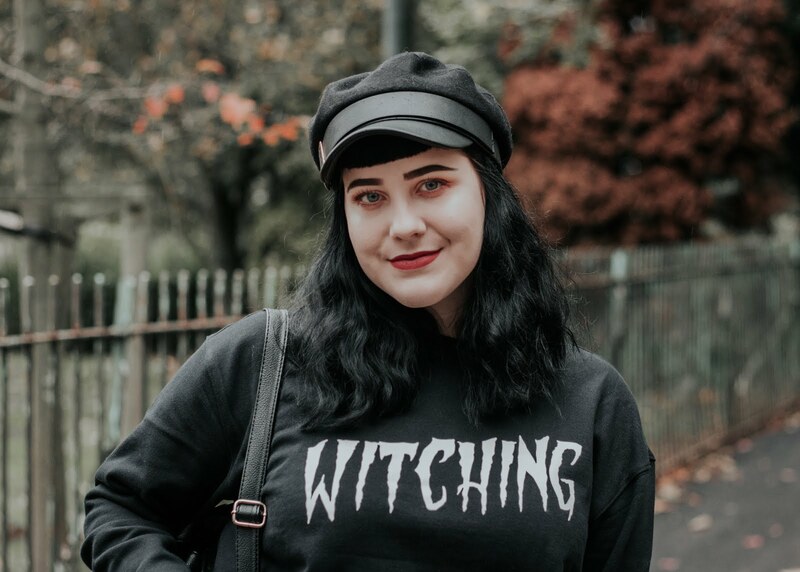 I love the shade I chose as it's perfect for me, and I love the adjustable coverage as some days I love a full coverage when I'm going out, but on "go out and about in your scruffs" days I do prefer lighter make up. The downside for me is it clings to dry patches, and you need a lot of product to get a fuller cover due to it's watery consistency. This resulted in me having half a bottle left after three uses. What do you think to it?